One of Slack's greatest appeals is that it's so extensible. While its main purpose is group collaboration, add-on apps can do everything from answer questions about business analytics to offer project updates from tools like Jira and Trello. And while there are dozens of pre-configured Slack bots from commercial third parties and open-source developers, it's not difficult to code your own. There are already tutorials on how to do this in PHP and Python. But I wanted to take advantage of some R functions that easily import data about finance, weather, government information and more, and add some of that to what Slack calls "custom slash commands." These allow users to get responses to queries with simple formats like /weather or /stockprice. Here's how I created a custom Slack slash command bot in R to retrieve current stock prices. 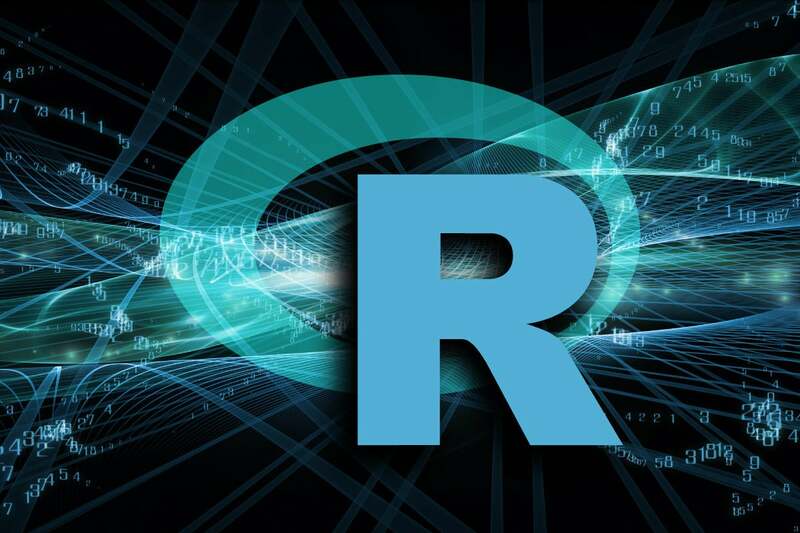 The same techniques can be used for any other type of information you can import and process with R.
Now we'll need to turn this function into something that another service such as Slack can query -- in other words, an API that's available via URL. I looked into several ways to make R scripts executable from a URL, such as using the FastRWeb project or running R via PHP and shell scripts. But they all seemed more complex to install and set up than was worthwhile just to run a simple Slack command. Then I remembered the R plumber package, which can turn any R function into an API. Plumber was created by Jeff Allen, an RStudio software engineer and head of a start-up called Trestle Technology, and it's a very easy and elegant way to create an API with R.
This is easy to set up locally. Install the package with install.packages("plumber"), and then add the following code on the line directly above the start of your function: #* @get /stockquote. The #* is a special plumber comment to turn the function into an API endpoint. @get means it should be an HTTP GET request for reading data. Plumber also supports @post, @put and @delete. The /stockquote after @get specifies what path the API should respond to. Using stockquote means that the API URL format will be http://www.myurl.com/stockquote. The character string after the / could have been stockprice, myquotes or anything else. If you execute all the code in this second file, which I call myserver.R, and then go to the URL http://localhost:8000/stockquote?thesymbol=MSFT in a browser, you should see the stock price in your browser. Next, we need to deploy this code to a system where Slack can access it.